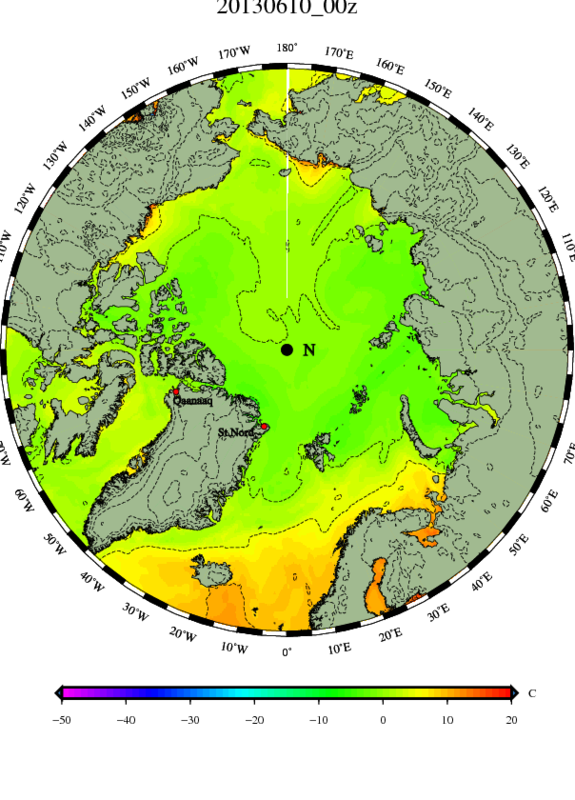 Big Arctic Warm-Up Predicted For This Week: Melt to Speed Up, Or Sea Ice to Show Resiliency Due to Variability, Strength of Negative Feedbacks? What it really all comes down to is heat energy balance. 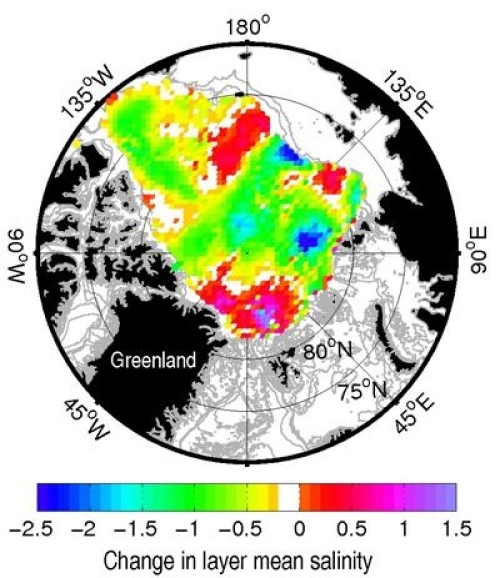 Beneath a warming, moistening Arctic atmosphere, sea ice loses resiliency due to slow attrition of the ice surface, due to loss of albedo as ice melts, and due to slower rates of refreeze during winter. 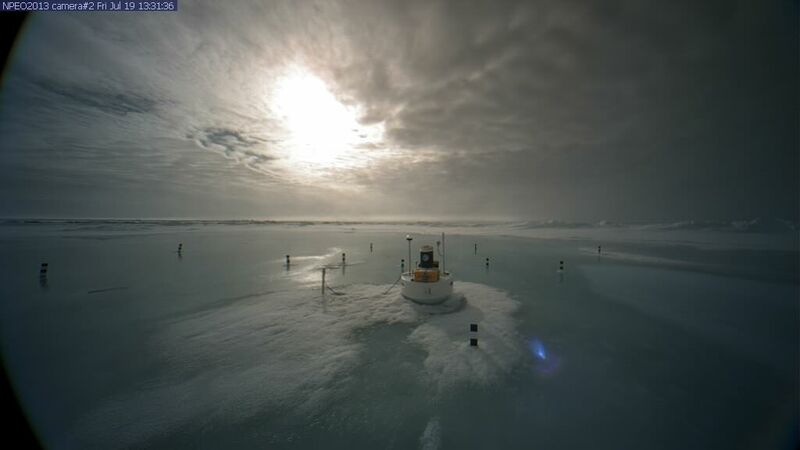 Atop a warming Arctic Ocean, sea ice loses bottom resiliency, tends to be thinner and more broken, and shows greater vulnerability to anything that churns the ocean surface to mix it with the warming deeper layers — storms, strong winds, powerful high pressure systems. It is this powerful set of dynamics under human caused climate change that has dragged the Arctic sea ice into what has been called a ‘Death Spiral.’ A seemingly inexorable plunge to zero or near zero ice coverage far sooner than was previously anticipated. But in the backdrop of what are obviously massive Arctic sea ice declines and a trend line, that if followed, leads to near zero ice coverage sometime between next year and 2030, lurk a few little details throwing a bit of chaos into an otherwise clear and, rather chilling, picture of Arctic sea ice decline. 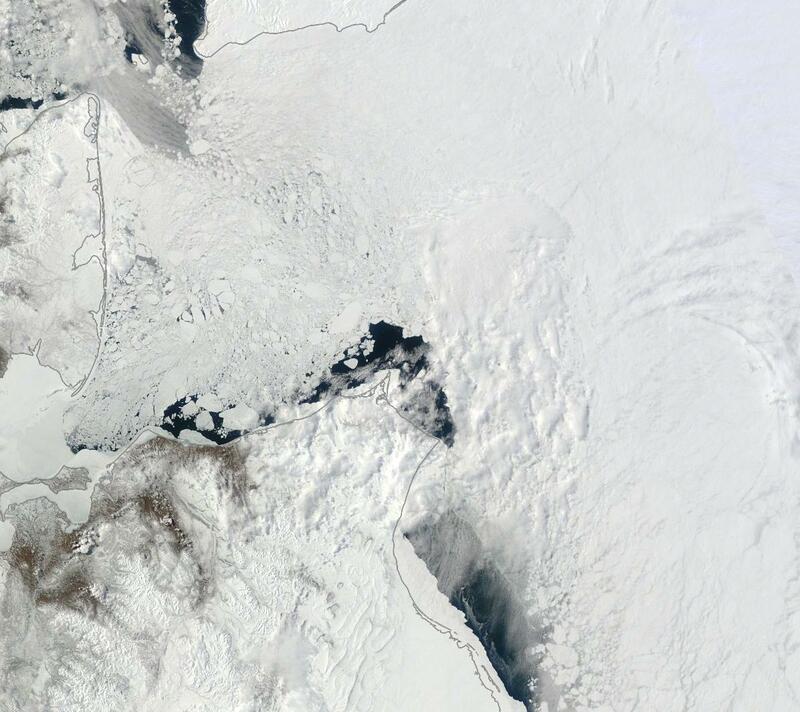 One of these details involves the greatly increasing flow of fresh water into the Arctic Ocean. 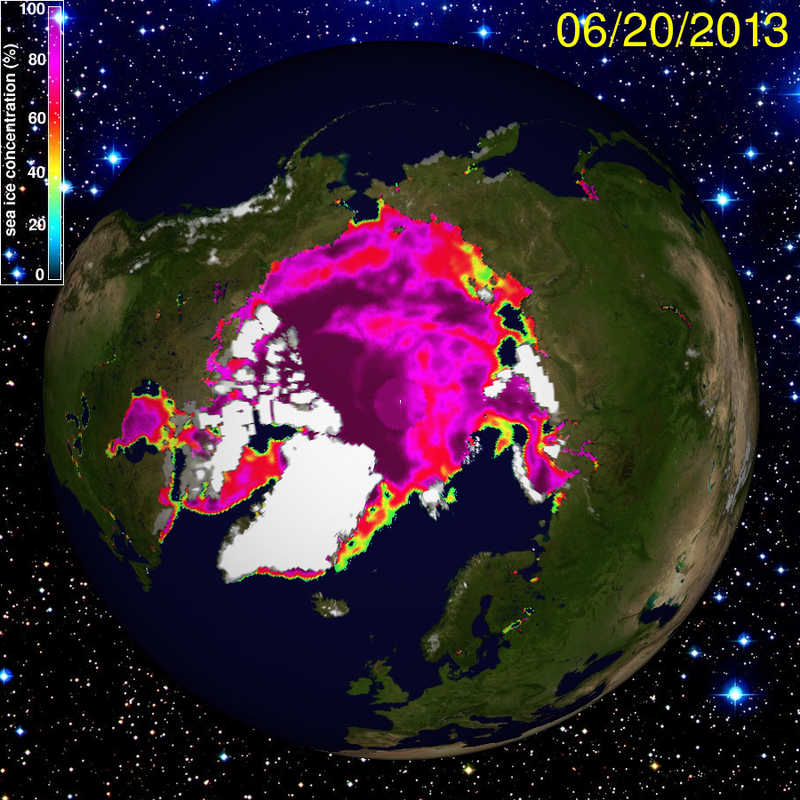 For as the Arctic heats, it moistens and rainfall rates over Arctic rivers increase. 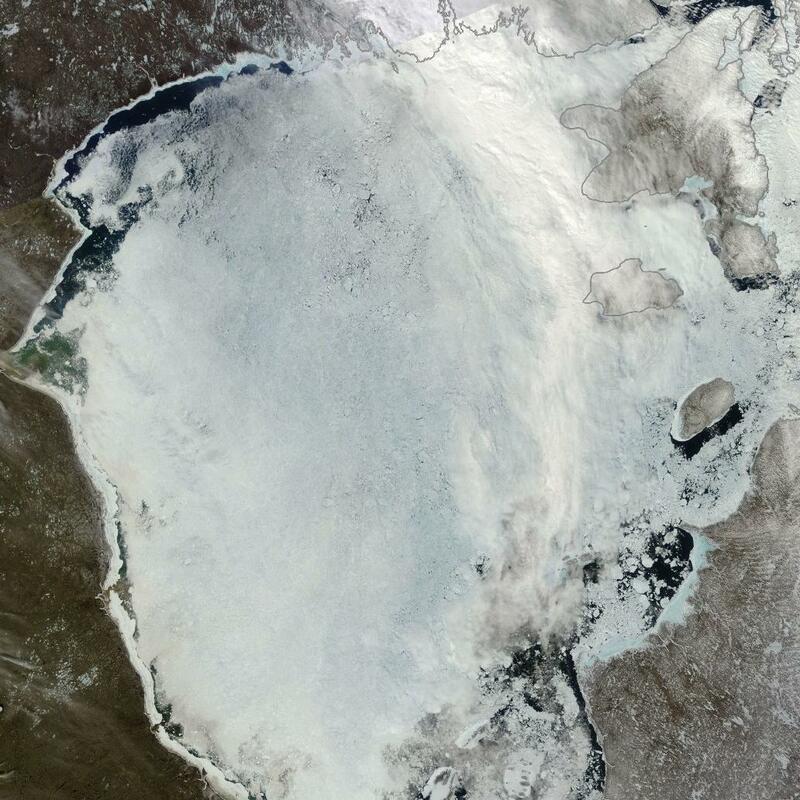 This results in much greater volumes of fresh river water flushing into the Arctic Ocean and freshening its surface. 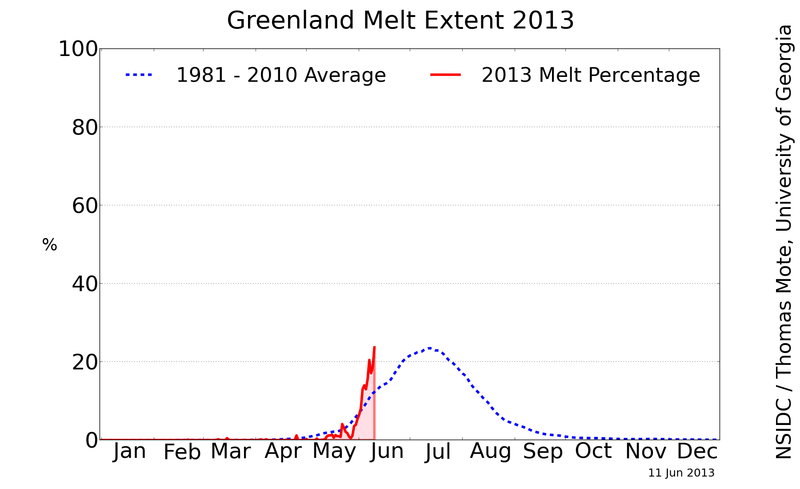 Another source of new fresh water flow for the Arctic is an increasing rate of Greenland melt outflow. 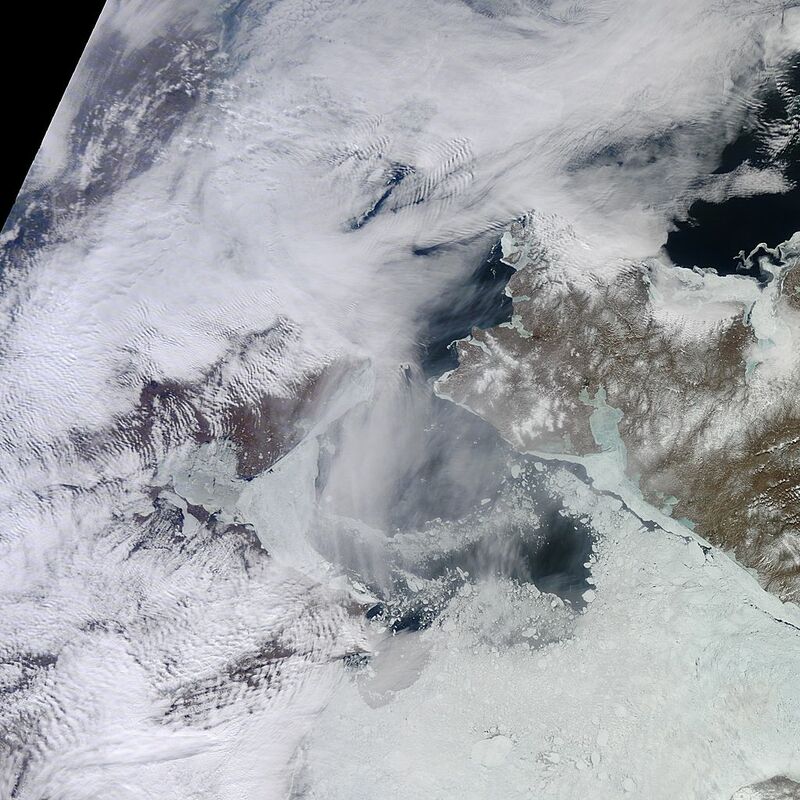 The volumes, that in recent years, ranged from 300 to 600 cubic kilometers, can, year-on-year, add 1-2% to the total fresh water coverage in the Arctic Basin and North Atlantic. These combined flows mean that fresh water accumulates more rapidly at the surface, resulting in an overall increase in fresh water volume. Since 1990, we have observed just such an accumulation. 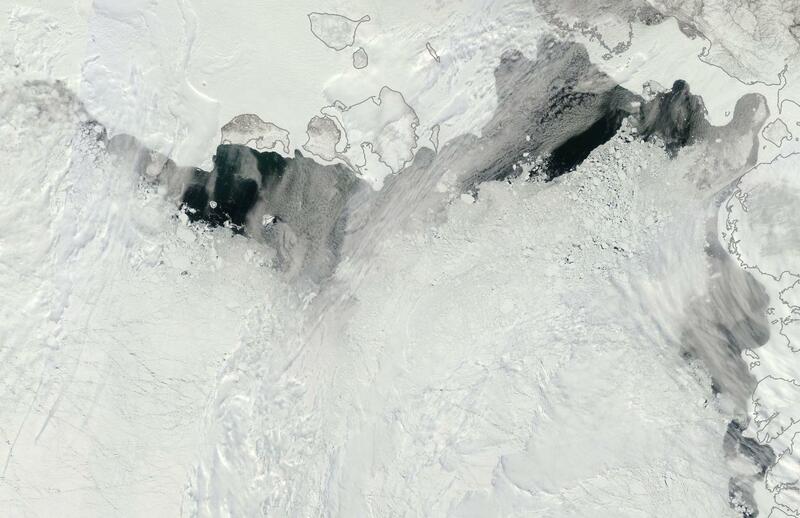 For a recent study in 2011 showed that since 1992, Arctic Ocean surface fresh water content had increased by 20%. 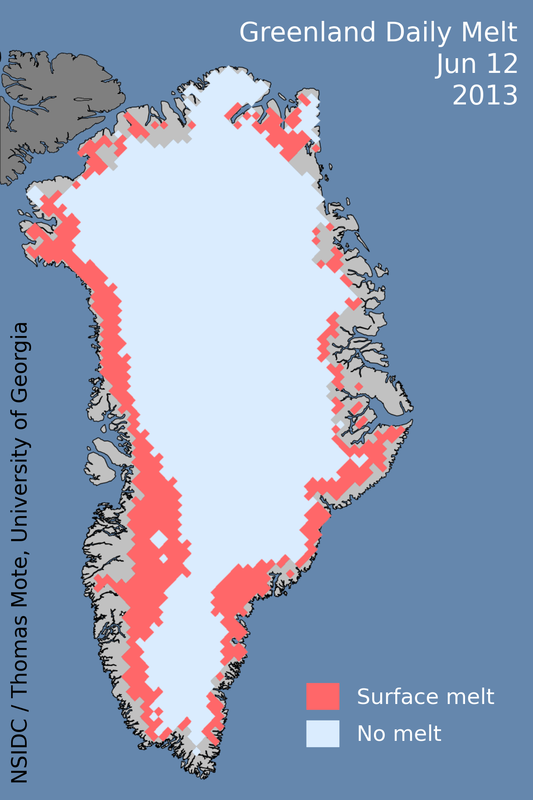 A remarkable increase due to the changing conditions that included greatly increased river outflows into the Arctic Ocean as well as a ramping ice melt from Greenland and the Canadian Archipelago Islands. 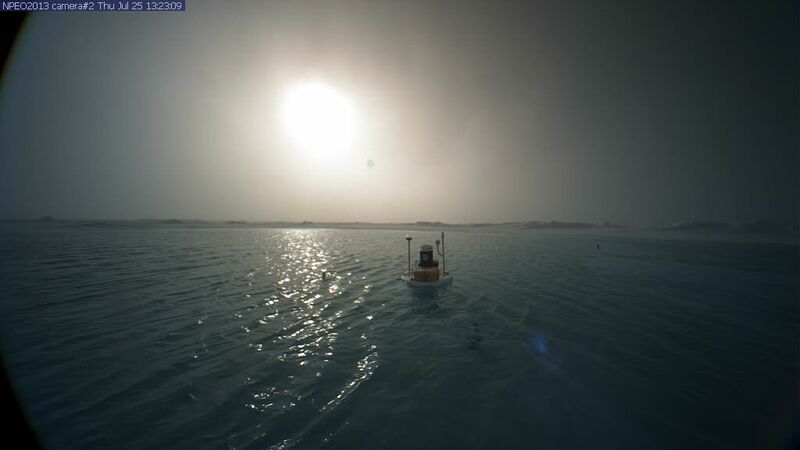 Fresh water is less dense than salt water and will tend to float at the surface. The physical properties of fresh water are such that it acts as a heat insulator, deflecting warmer, saltier ocean water toward the bottom. As such, it interrupts the heat flow from deeper, warmer Arctic Ocean waters to the sea surface and into the atmosphere. As an added benefit to the ice, fresher water freezes at higher temperatures. 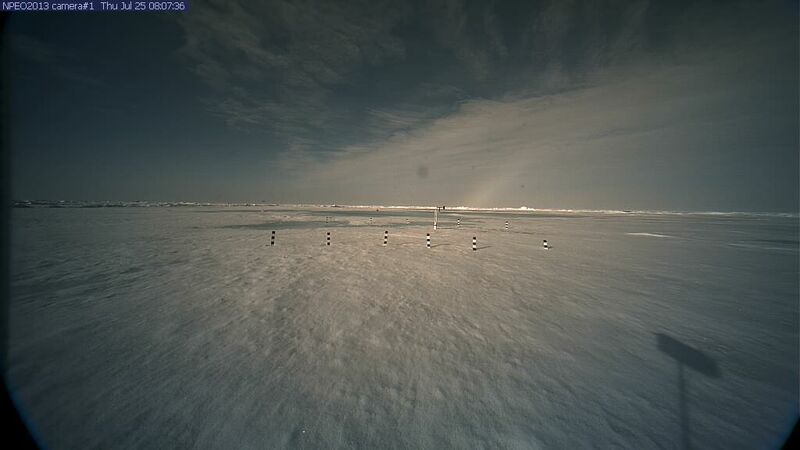 So as the Arctic Ocean freshens, it creates a bit of wiggle room for the sea ice, giving it about a 0.5 to 1 C boost so it can sometimes even form during conditions that were warmer than those seen in the past. 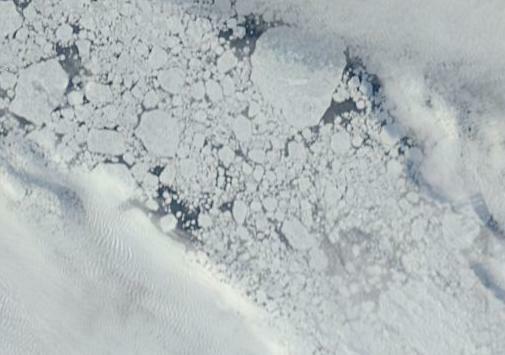 In this manner, an expanding fresh water zone acts as a kind of last refuge for sea ice in a warming world. 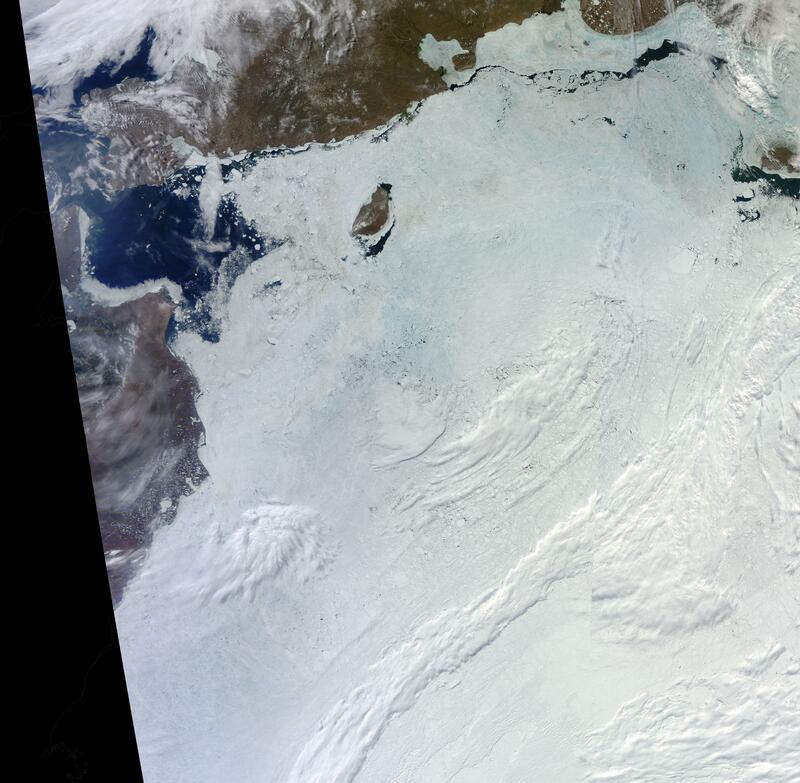 A zone in which sea ice may even periodically stage comebacks in the backdrop of rampant human warming. We may be seeing such a comeback in the Antarctic sea ice, which has shown anomalous growth and even contributed to an expanding cool atmospheric zone in the Southern Ocean, despite ongoing global warming. 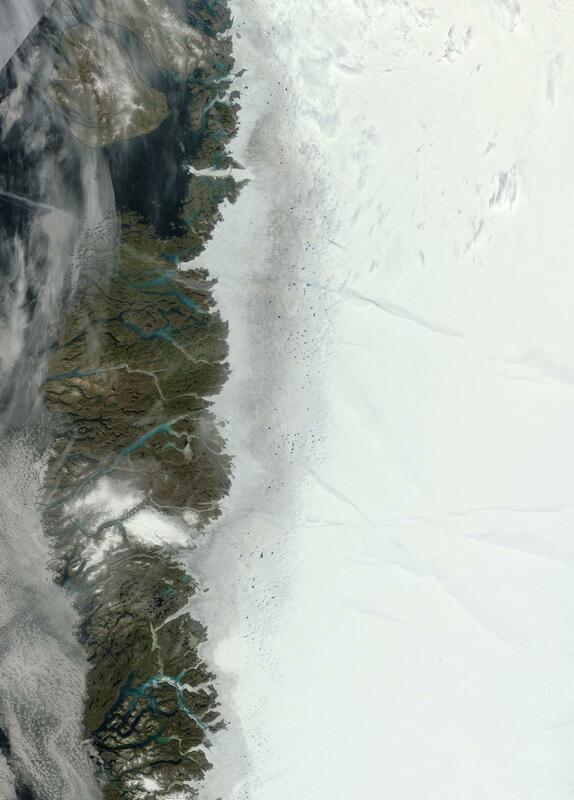 The freshwater and iceberg feeds from the vast Antarctic ice sheets have grown powerful indeed due to warm water rising up to melt the ice sheets from below, letting loose an expanding surface zone of ice and fresh water. This process will necessarily strengthen as more and more human heating hits the deep ocean and the submerged bases of ice sheets. An effect that will dramatically and dangerously reverberate through the ocean layers, setting the stage for a horrible stratification. But today, we won’t talk about that. 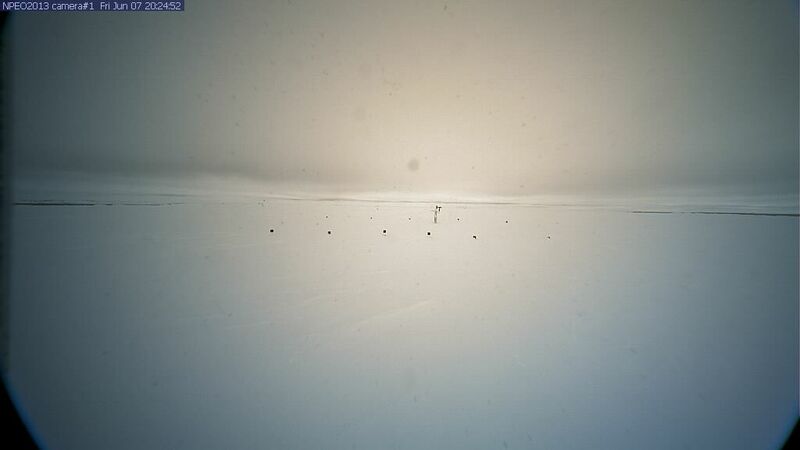 Today is for negative feedbacks due to fresh water flows from increasing polar precipitation and through ice sheet melt. 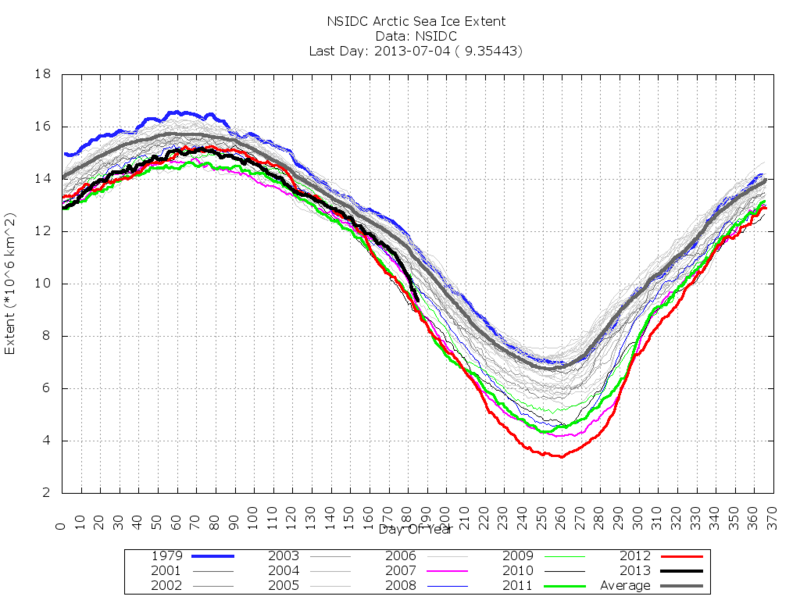 In the end, human warming dooms Arctic sea ice to an eventual final melt. 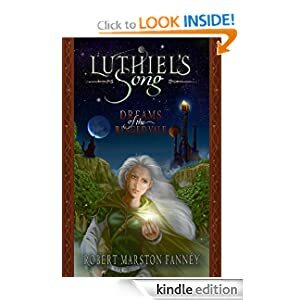 But before that happens the increasing volume of fresh water from river flows and the potentially more powerful negative feedback coming from a growing ice and fresh water release from Greenland and the Canadian Archipelago will inevitably play their hands. And so we arrive at the 2014 sea ice melt season for the Arctic. As with 2013, the melt got off to a relatively rapid start and then slowed through July as weather conditions grew less favorable for ice melt. 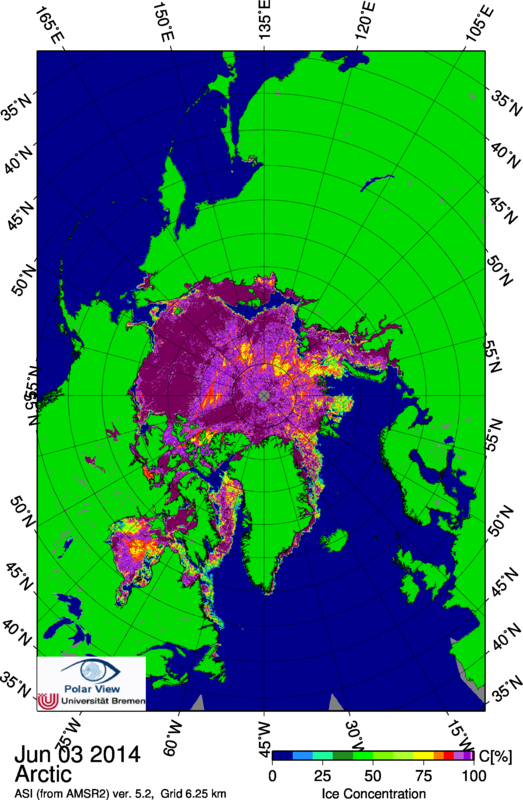 Above freezing temperatures hit the ice above 80 degrees North about one week later than average, also providing some resiliency to the central ice — a condition that historically leads to higher end-season sea ice values in about 80 percent of the record. The high pressure systems of early June gave way to weak storms and overall cloudy conditions. 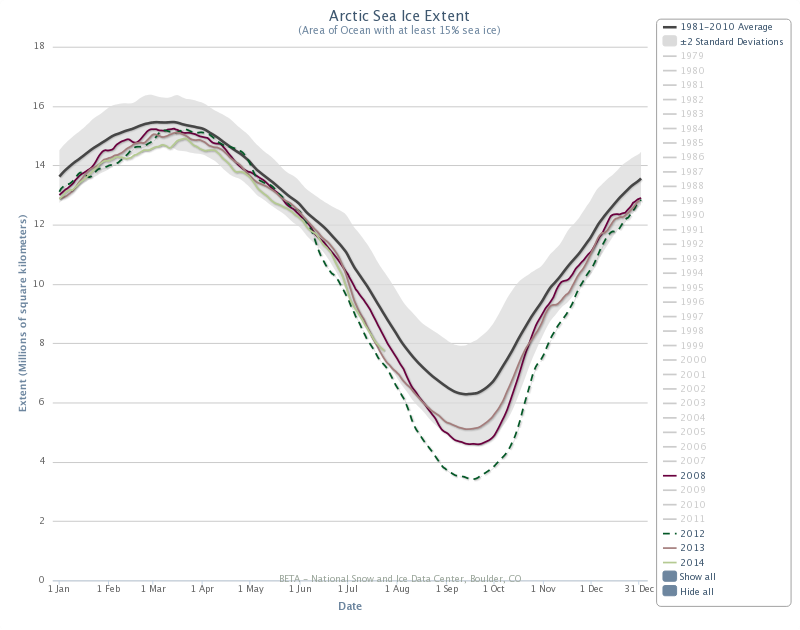 This shut down the cycle of strong melt, compaction, and transport of ice out of the Arctic that may have put 2014 on track for new records and another horrible slide down the Arctic sea ice death spiral. 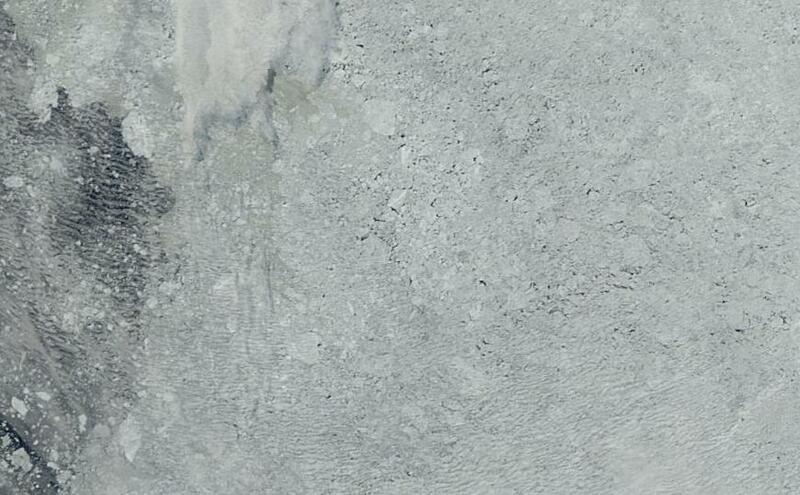 Instead, conditions set up for slower melt. 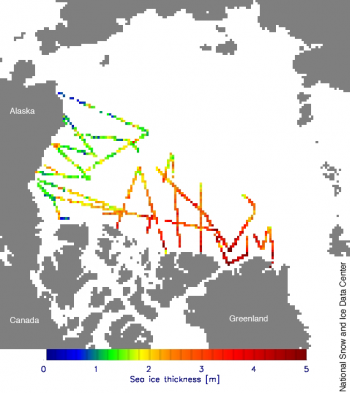 Ice was retained and backed up through the Fram Strait, and the ice spread out, taking advantage of the thickened fresh water layer to slow its summer decline. 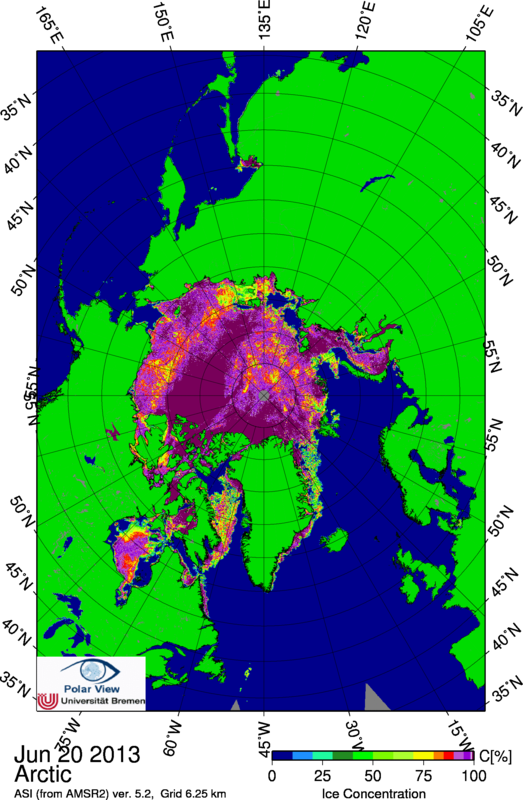 This is in marked contrast to the terrible 2007 and 2012 melt seasons which severely damaged the ice, making a total Arctic Basin ice melt all more likely in the near future. 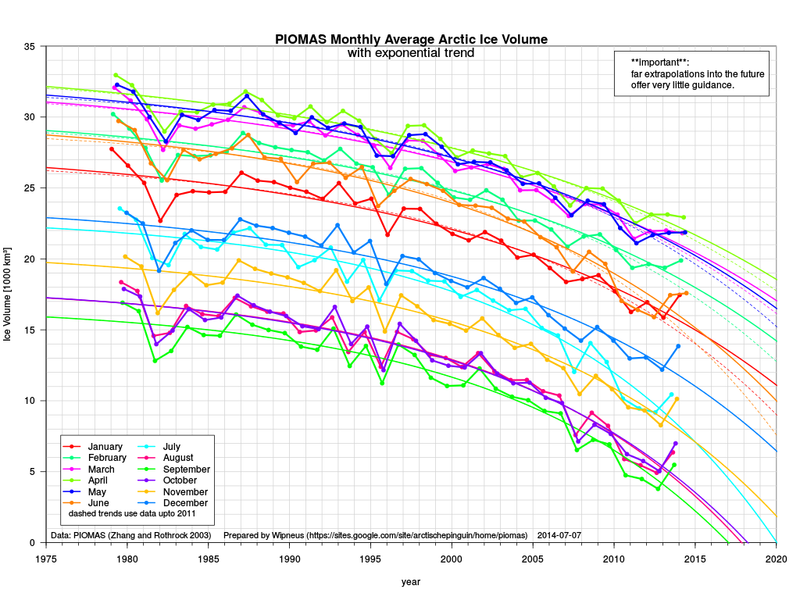 And it was also cutting against the 2010 to 2012 trend in which sea ice volume measures continued to plunge despite ambiguous numbers in sea ice area and extent (no new record lows) during 2010 and 2011. 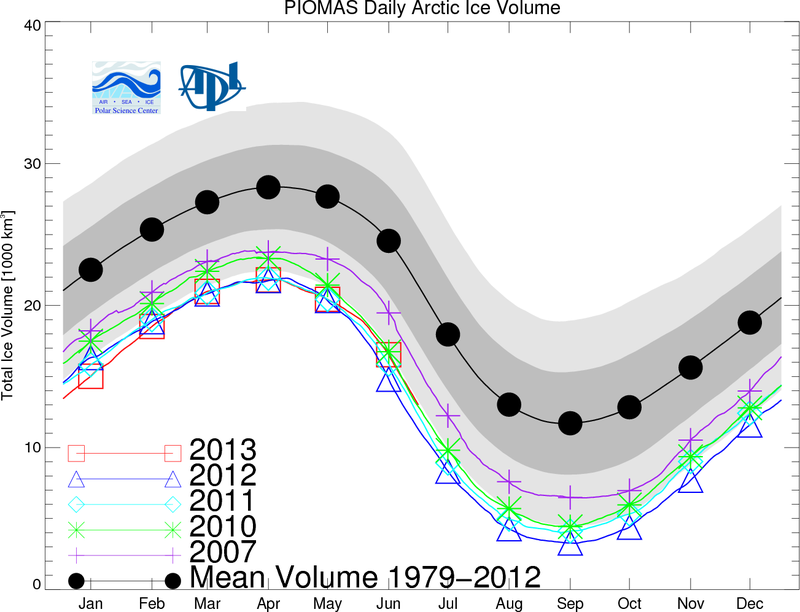 For this year, sea ice volume is now, merely, ‘only’ 4th lowest on record, according to the PIOMAS measure. The fact that we are looking at a 4th lowest year as another bounce-back year is a clear indication of how terrible things became since 2010. 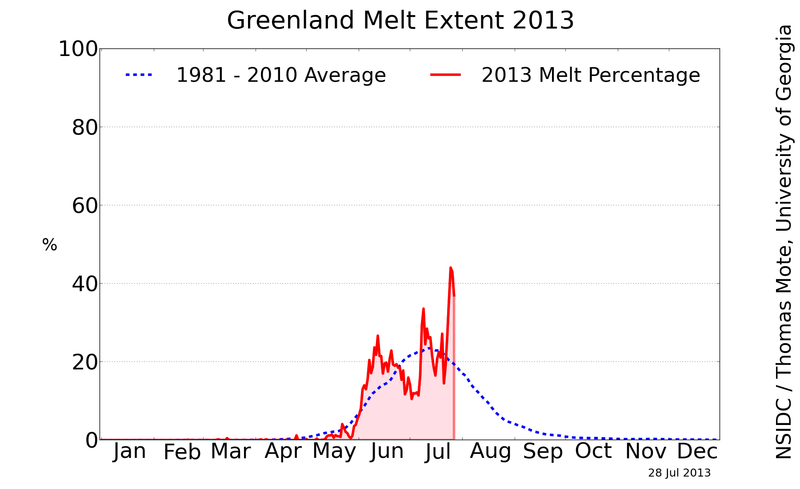 And so far, this year’s melt has, like 2013, simply not been so terrible and terrifying. A wag back toward 2000s levels that is likely due to the inherent negative feedback of freshening surface water and to a swing in natural weather variability that, during any other year and in any other climate, would have pushed summer ice levels quite high indeed. 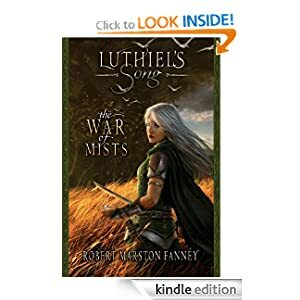 If the storms had been strong enough to draw a large enough pulse of warm water to the surface, the story might have been different. 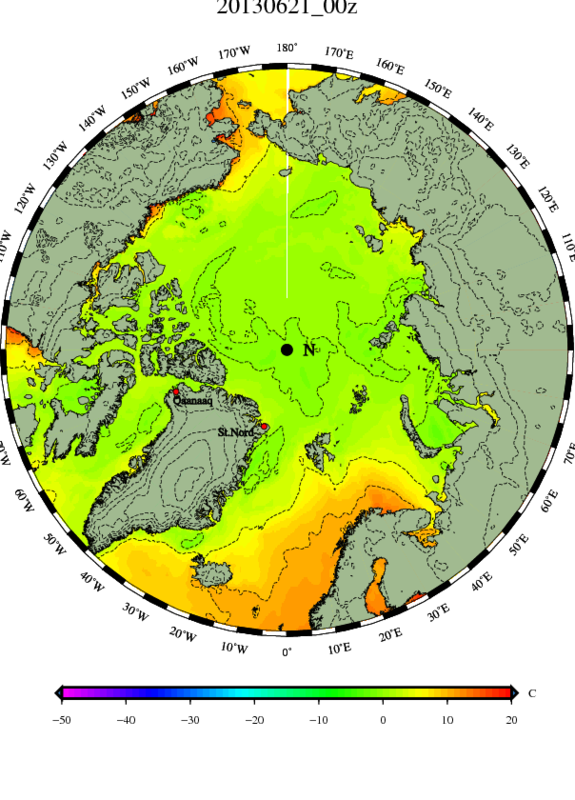 But, as it stands, this summer of weak Arctic weather hasn’t activated any major melt mechanism to push the ice into new record low territory. And so in many major monitors we are now above 2013 melt levels for this day. 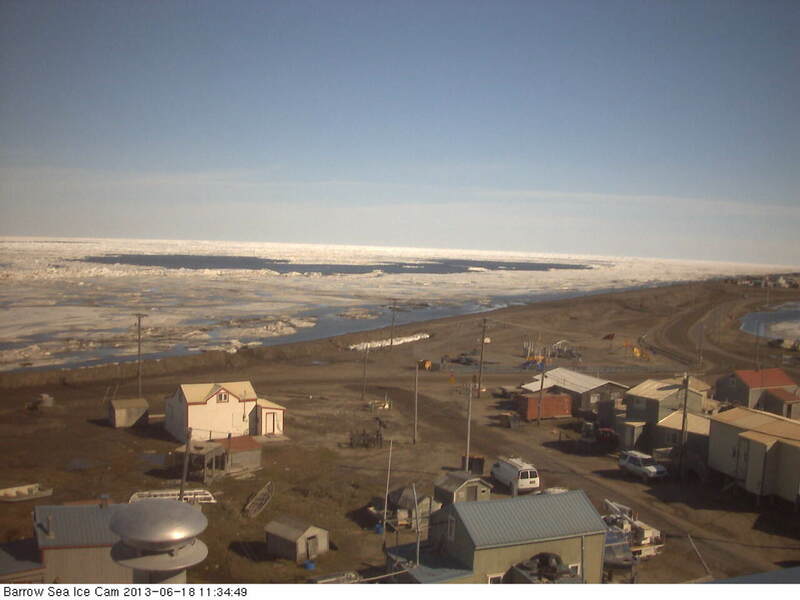 So in the sea ice butcher board tally, with the negative feedback of fresh water floods and glacial melt moderately in play and with weather that is highly unfavorable for melt, we currently stand at 4th lowest in the volume record, 6th lowest in the extent record, and 6th lowest in the area record. GFS and ECMWF model runs show two warm ridges of high pressure developing over the Arctic this week. 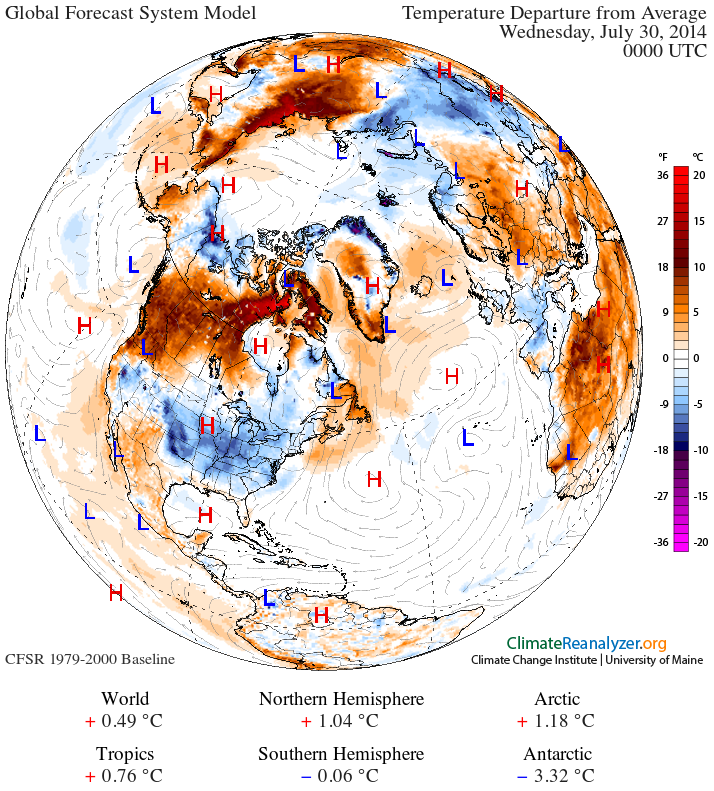 And the emergence of these warm and moist air flows into the Arctic may well have an impact by pushing the Arctic back toward melt-favorable conditions. 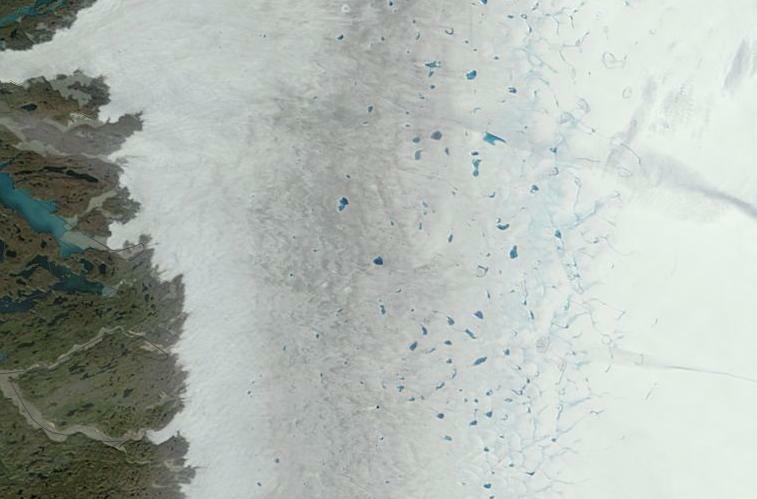 The first ridge is already expanding across the Canadian Archipelago. 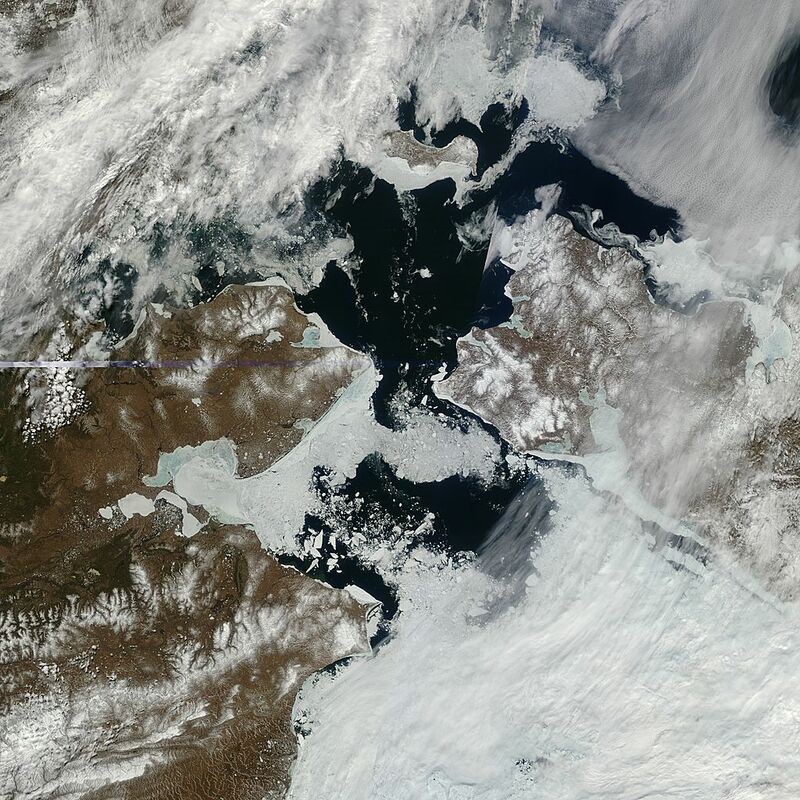 Yesterday it brought 80 degree temperatures to Victoria Island which still sits between wide channels clogged with sea ice. 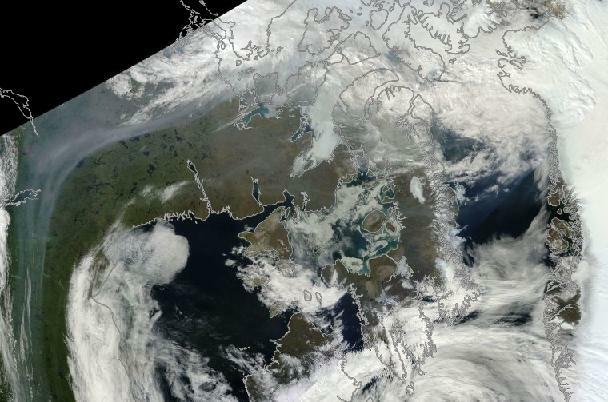 Smoke from wildfires is being entrained in this ridge and swept north and east over the remaining Archipelago sea ice and, today, the Greenland Ice Sheet. While the smoke aerosol from fires blocks some of the incoming solar short wave radiation, it absorbs and re-radiates it as long-wave radiation. Many studies have shown this albedo-reducing darkening of the cloud layer by black and brown carbon aerosols has a net positive warming effect. In addition, the soot falls over both land and sea ice where it reduces reflectivity medium to long-term (Dark Snow). The ridge is expected to expand east over the next few days until it finally settles in as a moderate-strength high pressure system over Greenland. There it is predicted to juxtapose a set of low pressure systems that will slowly slide south and east over Svalbard. 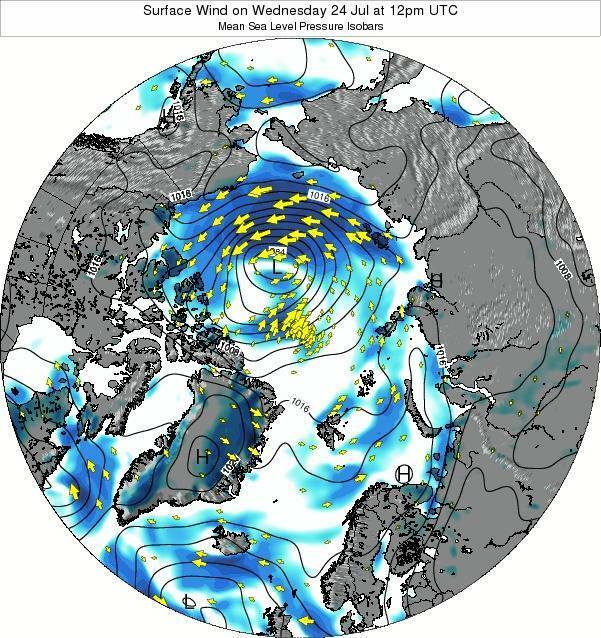 The conjoined counterclockwise cyclonic wind pattern of the lows and the clockwise anti-cyclone of the high over Greenland in the models runs over the Fram Strait. 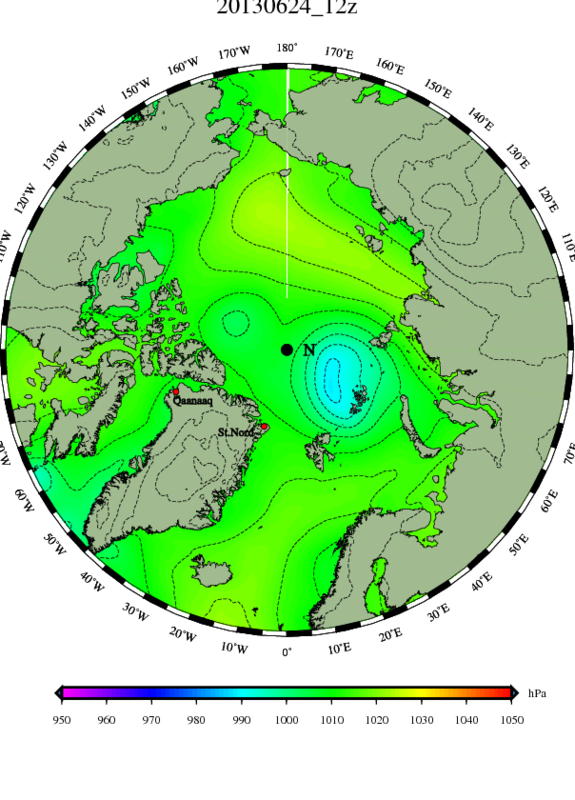 And so, for at least 4-5 days, the models predict a situation where sea ice transport out of the Arctic may be enhanced. Meanwhile, on the other side of the Arctic, a series of high pressure systems are predicted to back up over the Pacific Ocean section of Irkutsk and Northeast Siberia. 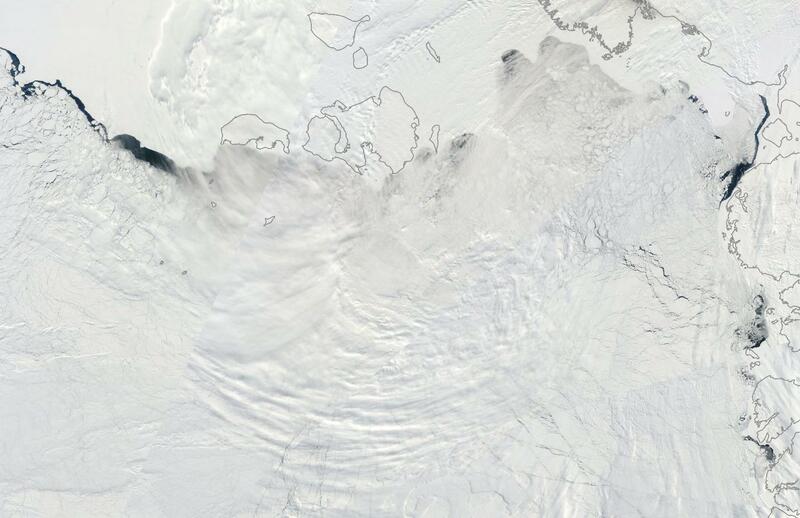 This ridge is expected to dominate coastal Siberia along the Laptev and East Siberian Seas. Temperatures along the coast are expected to reach 15-20 C above average, while temperatures over the waters are expected to rise to melt enhancing levels of 1 to 5 C.
Ahead of the ridge runs a warm frontal boundary that is heavily laden with moisture and storms. So a liquid and mixed precipitation band is likely to form over the East Siberian and Beaufort Sea ice as the ridge advances. 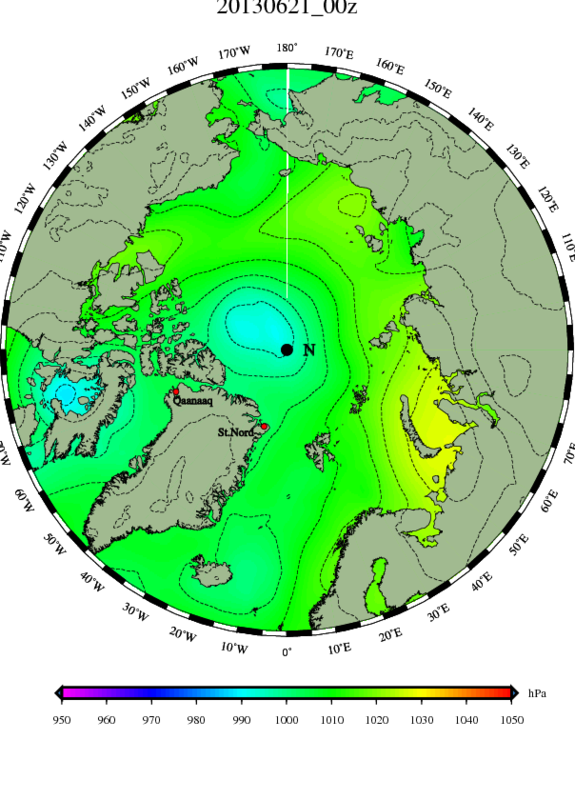 The ridge is projected to drive surface winds running from the south over the East Siberian Sea, across the polar region, and into the Greenland and Barents Seas. 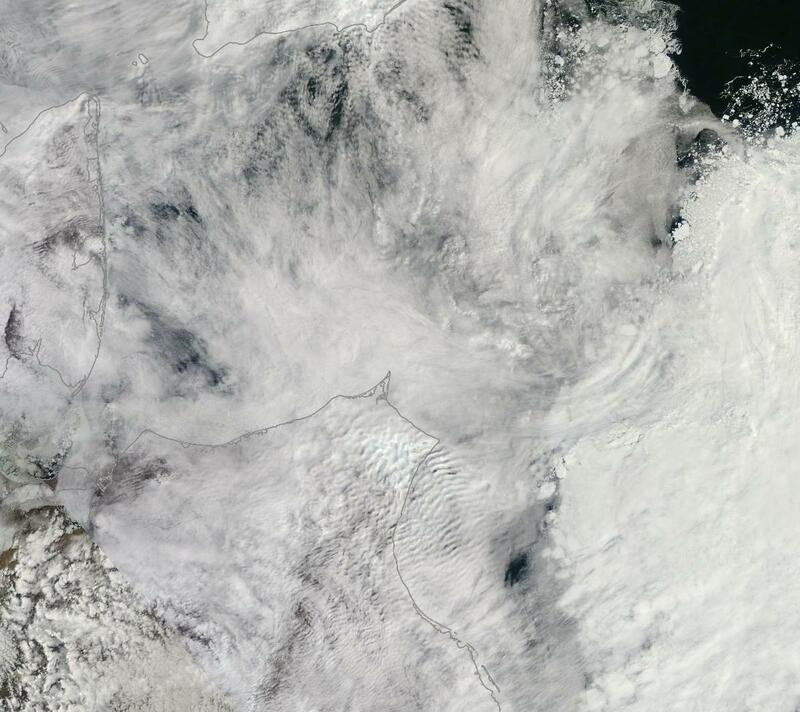 This cross-polar flow of warm, moist air will also enhance the potential for ice transport. 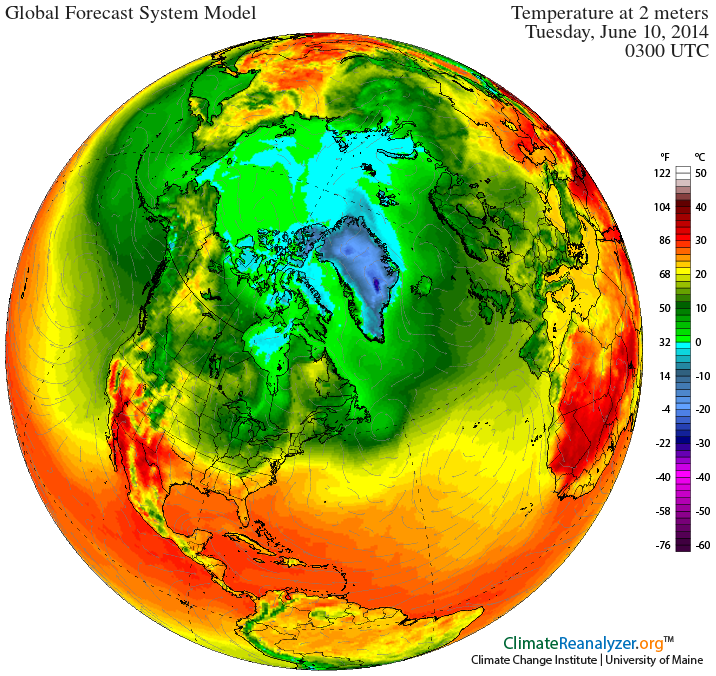 Overall, it is a weather pattern that shows promise to increase melt, especially in the regions of the Canadian Archipelago and the East Siberia Sea, and to speed ice mobility and transport. 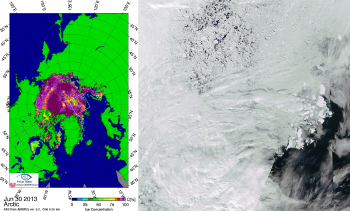 Persistent lows near the central Arctic for the first half of this period and shifting toward Svalbard during the latter half will continue to disperse sea ice which may lend one potential ice resiliency feature to a pattern that is, otherwise, favorable for ice loss. If the melt pattern described above comes to impact the ice and push greater rates of sea ice loss over the coming days and weeks, it’s likely that end season 2014 will end up with sea ice measures below those of 2013, but above the previous record lows seen during past years. This would likely put 2014 well within the range of the post 2007 era at 3rd to 5th lowest on record for most monitors. Not a new record year, but still well within the grips of the death spiral. 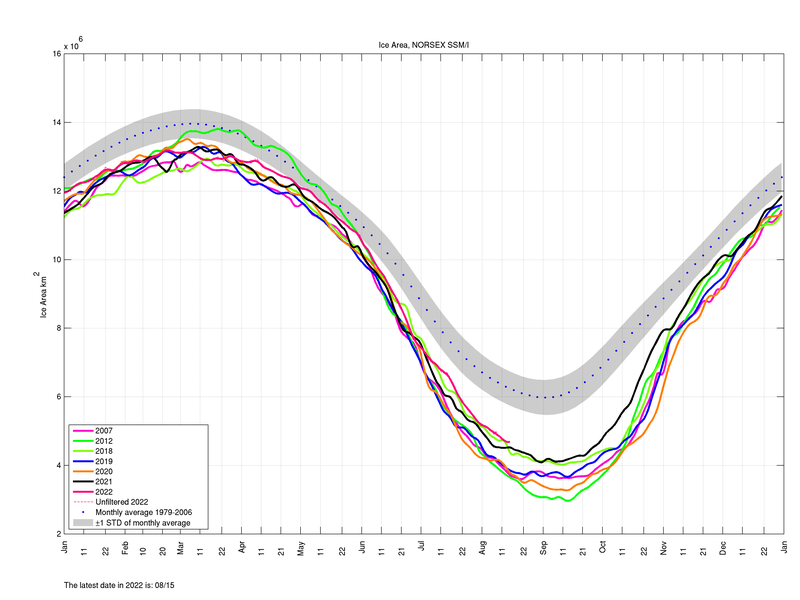 If, however, the weather predicted does not emerge or the sea ice retains resiliency through it, then 2014 stands a chance of pushing above final levels seen in 2013. 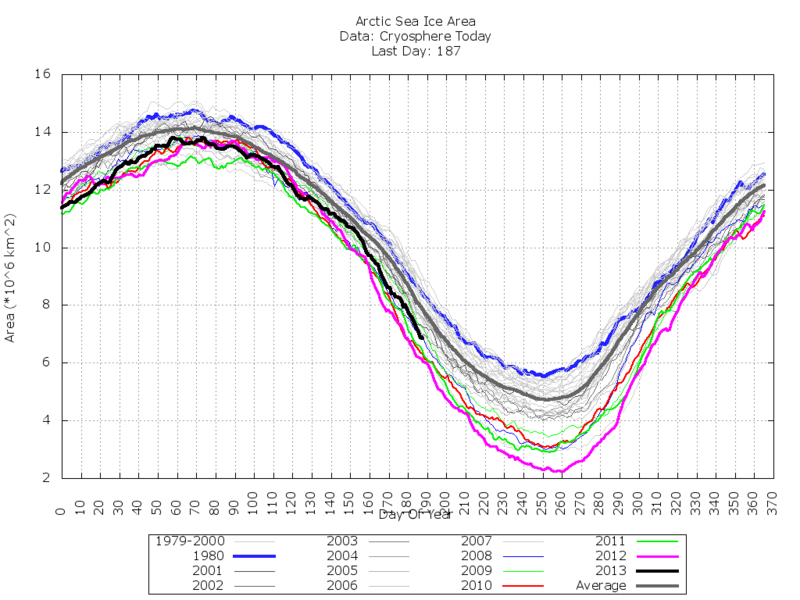 In such an event, end season area and extent measures may challenge levels last seen during 2005 while sea ice volume maintains between 4th and 5th lowest. Are negative feedbacks, in the form of greatly increased freshwater flows from rivers and glaciers, starting to pull the Arctic sea ice out of a high angle nose dive and are they beginning to soften the rate of decline? Or is this just a year when weather again wagged the dog as natural variability played a trump card for the summer of 2014 but further drives for new records will follow come 2015, 2016, or 2017? In any case, near-term sea ice forecasts remain somewhat murky, as they should given the high instability of the current situation.